Today Google shows in excellent Doodle for celebrating 113th Birthday of Alexander Calder. Alexander Calder was an American sculptor and artist most famous for inventing the mobile which is a type of kinetic sculpture constructed to take advantage of the principle of equilibrium. The mobile consists of a number of rods, from which weighted objects or further rods hang. The objects hanging from the rods balance each other, so that the rods remain more or less horizontal. Each rod hangs from only one string, which gives it freedom to rotate about the string. 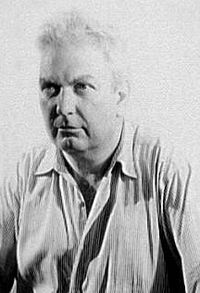 Alexander "Sandy" Calder was born in Lawnton, Pennsylvania, on July 22, 1898. He was born to a family of artists. While his father and grandfather were both sculptors, his mother was a painter. Calder invented the mobile in 1931. Calder was also a jewellery designer, an interest that developed when he was fashioning a wedding ring for his marriage with Louisa Cushing James. Besides his sculptures, Calder also illustrated a number of books. Besides mobiles, he also earned a name with stabiles, a type of stationary abstract sculptures. Today's mobile Google doodle sways on its own and can also be controlled by mouse gestures. Watch the below Video. Do you want to ask any questions to Obama? What happened to Google Voice Search? What happened to Google Real Time Search? Do you want to invest in Websites?